Designed with simplicity with a touch of soberness in its work makes a masterpiece. 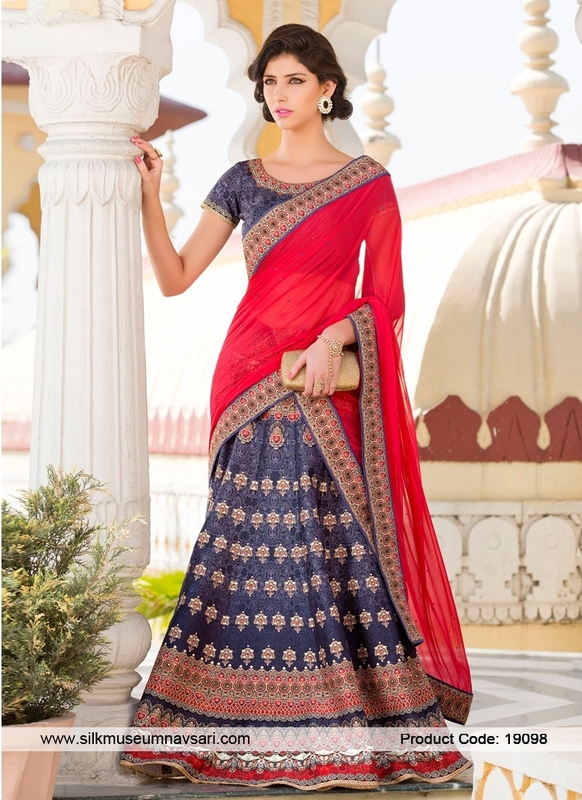 Be the center of attraction with this heritage lehenga choli. The lovely resham, print work throughout the attire is awe inspiring. Comes with silk choli and pure chiffon dupatta.